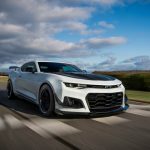 2016 Camaro Performance Numbers, Weight, and More! 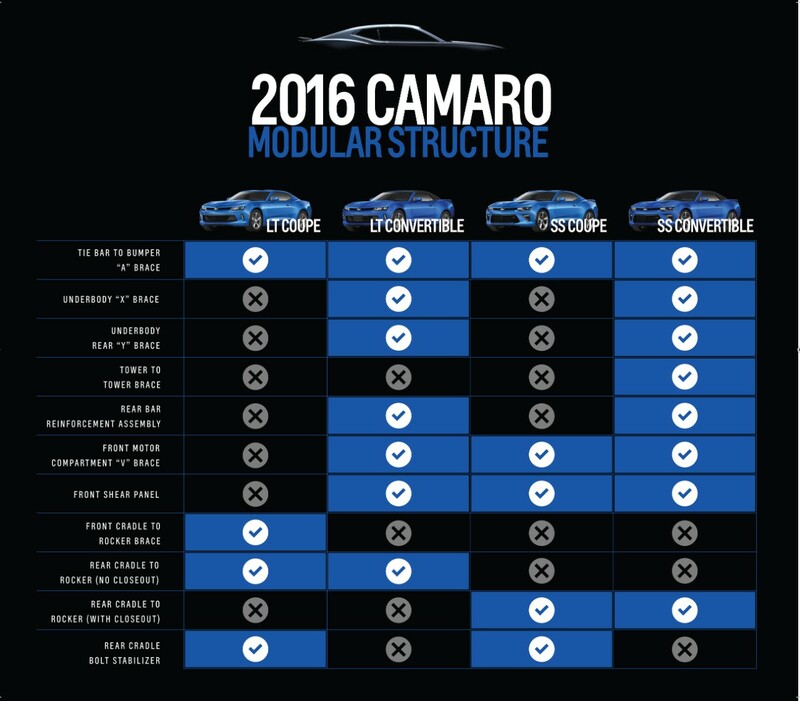 2016 Camaro Performance Numbers, Weight, and More Revealed! 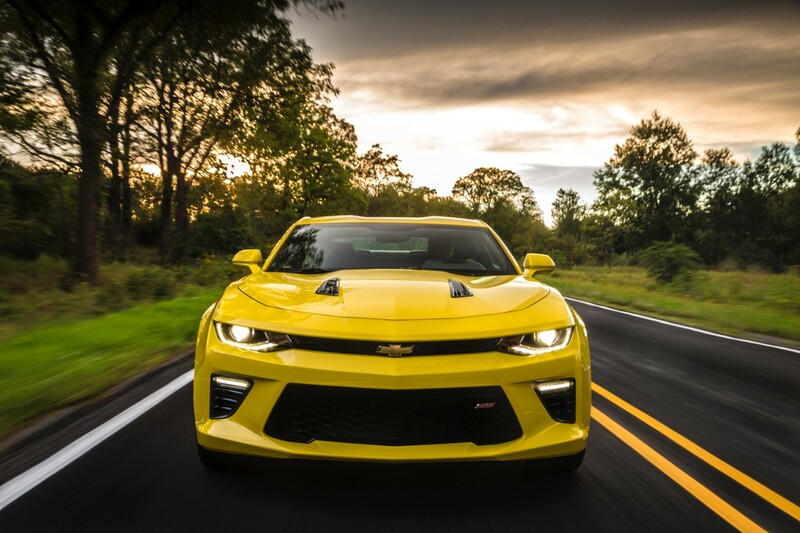 DETROIT – Less weight and more power is the combination for performance success and engineers of the 2016 Camaro have the numbers to prove it. 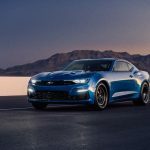 With weight savings of up to 390 pounds (177 kg), the all-new Camaro delivers performance numbers that reset the benchmark for the segment. With standard 18-inch wheels and Goodyear Eagle Sport all-season tires, the 2.0L Turbo delivers 0.85 g in cornering grip and 60-0-mph braking in 129 feet. With the RS package, which includes 20-inch wheels and Goodyear Eagle F1 Asymmetric all-season run-flat tires, the 3.6L V-6 delivers 0.89 g in cornering and 60-0 mph braking in 124 feet. The Camaro SS features Eagle F1 Asymmetric 3 run-flat summer-only tires, enabling 0.97 g in cornering and 60-0 braking in 117 feet. 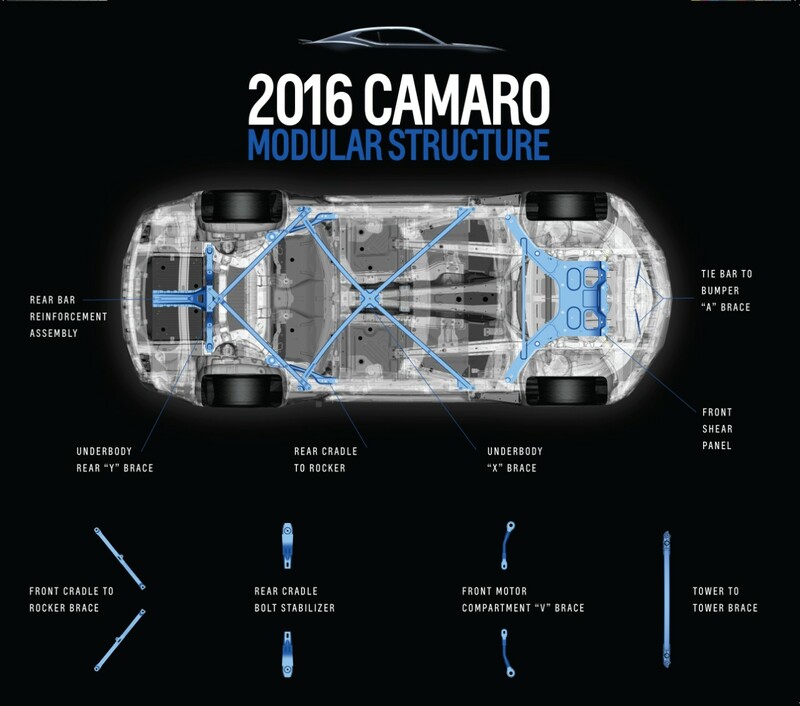 Much of the Camaro’s performance can be attributed to the development team’s focus on reducing vehicle mass and improving structural stiffness. They invested 9 million hours of computational time looking for opportunities to make the chassis lighter and stiffer. That computer-aided engineering led to a modular architecture strategy that tailored the chassis to each model (see accompanying infographic). Consequently, the base curb weight for the 2016 Camaro is 368 pounds (167 kg) lighter than the previous model. The 1SS model is 223 pounds (101 kg) lighter, while offering 29 more horsepower, for a 14-percent improvement in its power-to-weight ratio. 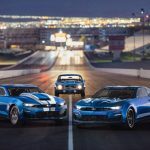 The 2016 Camaro goes on sale this fall, with a suggested retail price of $26,695 for the Camaro 1LT and $37,295 for the 1SS. 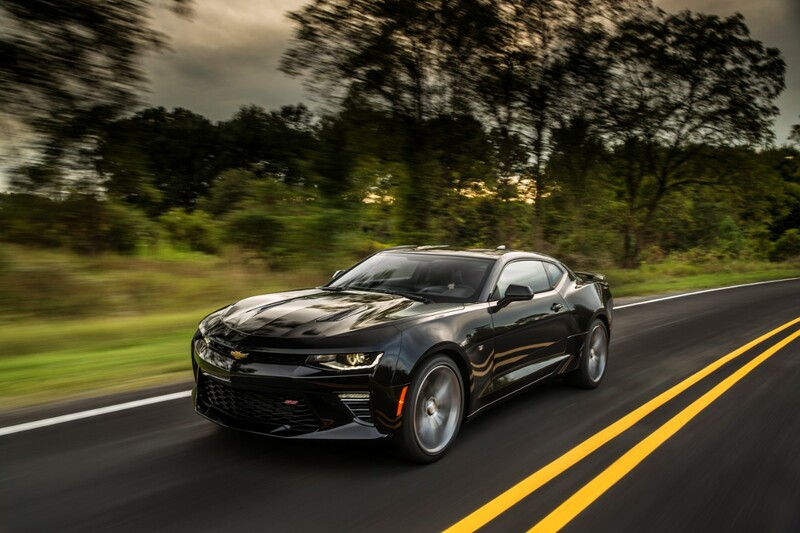 FAST FACT: The 2016 Camaro 2.0L Turbo’s 275 horsepower rating matches the output of the 1993-1995 Camaro Z28’s 5.7L V-8 – and offers comparable acceleration performance.